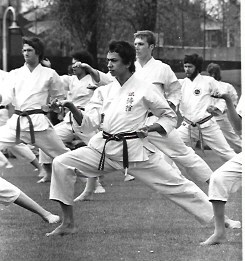 Ashley Jansen Sensei training in Shotokan Karate in 1969 at the age of 15 years at a local dojo in Slough Berkshire; he then trained under the late Kenosuke Enoeda and graded shodan in 1974. 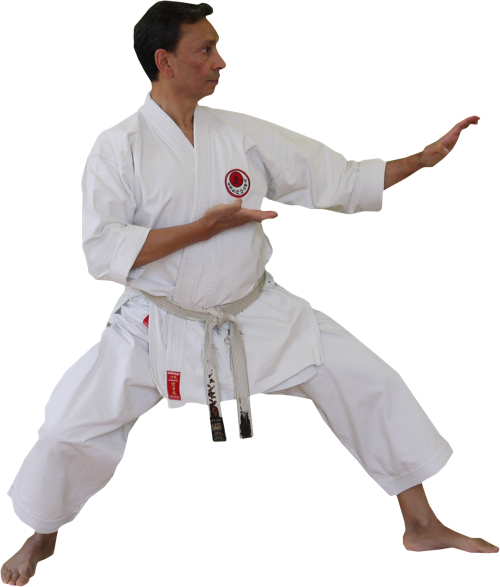 Ashley Jansen Sensei studied Aikido and Kobujutsu as well as many other forms of karate including Goju Ryu. 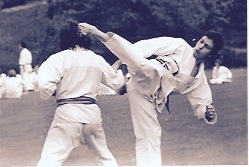 In 1979 Ashley Jansen was a member of the Reading Apollo team that won the South of England Shotokan tournament and this achievement was repeated again in 1980. Ashley moved to Sydney Australia and trained under Takahashi Sensei the Japan Karate Association. While in Australia Ashley was runner up in the New South Wales JKA State tournament and opened a Dojo on Bondi Beach. Under Ashley’s instruction students of the Bondi Dojo won state and national tournaments in kata and kumite. 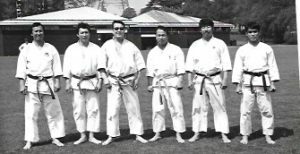 While in Australia Ashley started training under Yoshikazu Sumi Sensei 8th dan JKA and still continues his study of martial arts under Sumi Sensei. Ashley returned to the United Kingdom in 1984 having travelled around the world studying martial arts. In 1989 the Windsor Dojo was opened and in June 1993 Ashley was awarded the title of Sensei (Teacher) and the grade of 5th dan from Sumi Sensei. In October 2009 Sumi Sensei together with the Committee of the School of Traditional Karate awarded Ashley the rank of 6th Dan. Ashley Jansen also studies Ryukyu Kobujutsu under the instruction of Julian Mead Sensei and holds the rank of 3rd Dan in Kobujutsu.